Well, when you need one. But if you’re looking for an upgrade instead of an immediate replacement, it pays to plan your purchase. A new analysis from Consumer Reports proves what most of us have suspected for some time: It’s worth shopping the Black Friday sales. 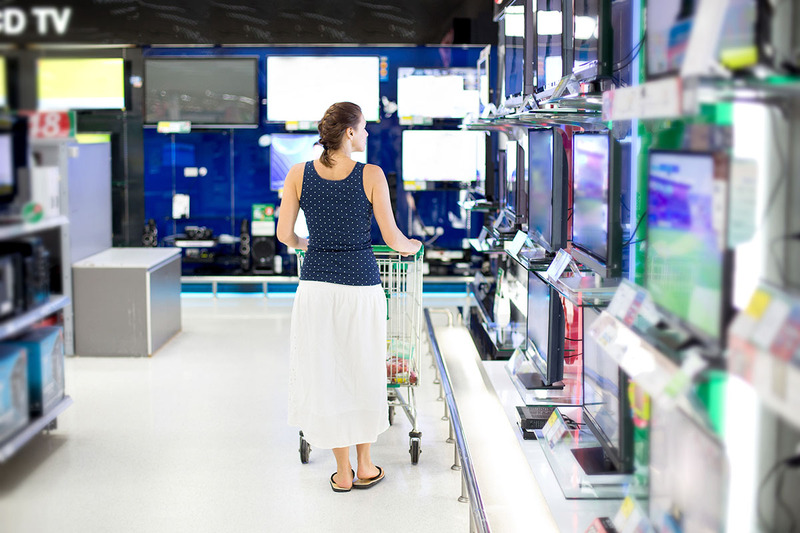 Consumer Reports and market research company Gap Intelligence conducted a yearlong analysis of prices for four key product types: ranges, refrigerators, dishwashers and televisions. Comparison shoppers will love how the Consumer Reports charts track prices over 12 months — and will take note of occasional price dips outside of the “just go shop on Black Friday” lesson. “Sometimes the big-picture data can hide some counterintuitive buying advice. Average TV prices peak as new products launch starting at the end of February, but that’s also one of the best times to get a great deal on the previous year’s hot sets,” the report explained. Ranges: Prices saw their first big dip around July Fourth and saw several deeper cuts around each shopping holiday, including Labor Day, Black Friday and Cyber Monday. More expensive models saw greater discounts. Refrigerators: The lowest prices came during Black Friday sales, but Consumer Reports also noted dips on certain models around July Fourth and Labor Day. The diversity in models and price trends indicates “plenty of opportunity for an attentive shopper to save money,” Consumer Reports noted. Dishwashers: Again, Black Friday sales are the winner if you’re looking for a new machine. TVs: Prices drop in November during Black Friday promotions. There’s also a dip ahead of the Super Bowl and into March, which is when new sets come out and prices drop significantly on the previous year’s models. Remember, bargain hunters, there are only 108 days until Black Friday. Lisa Rowan is a writer and producer at The Penny Hoarder.